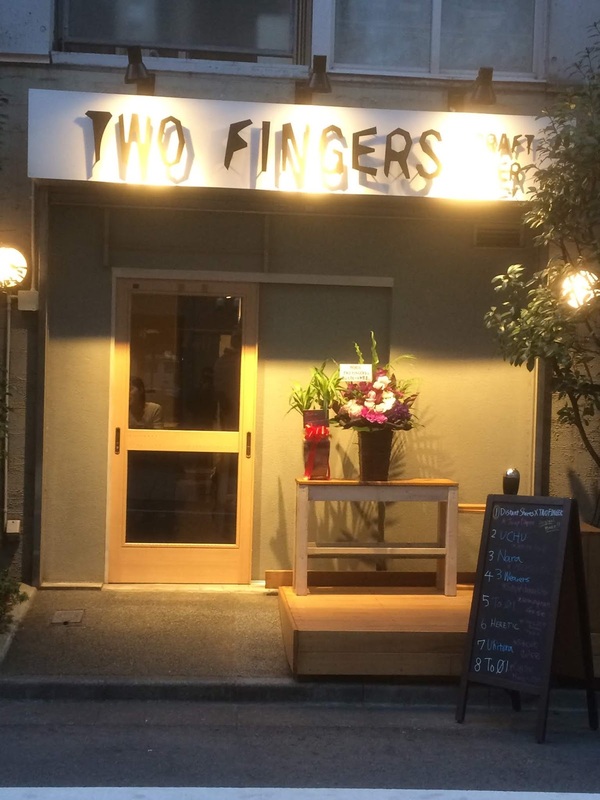 Two Fingers has just opened on the north side of Ikebukuro. It is jointly owned by Nao and Stef. Nao is Japanese and I think Stef is Australian but he speaks decent Japanese. Both are chatty and probably what I liked best about Two Fingers is that it is the kind of place where everyone at the counter gets talking. There is no charge and it is a no-smoking establishment. There is also free WiFi. Currently Two Fingers opens at 4pm. The closing time is likely to change once they both move so it would be best to check online first. The sign that you can see in the photo was made by Welder’s Diner and they had their own beer made at Distant Shores on tap for their opening. This place really had the atmosphere of an established craft beer bar rather than a place that’s just opened. A relatively small bar, there are 5 counter seats and 3 tables that seat a total of 10. Beer comes in two sizes; US pints for about ¥1100 to ¥1200 and half pints for about ¥700-750. Pretty reasonable for Ikebukuro but tax is added on at the end. There are Japanese beers and some from America and elsewhere. Food is mostly drinking snacks rather than main courses but it was good. I highly recommend you pop in for a chat and a beer if you are in Ikebukuro.